This is a repost, and popovers are one of my favorite things to make. I would rather eat a popover with jam, than a cupcake any day. 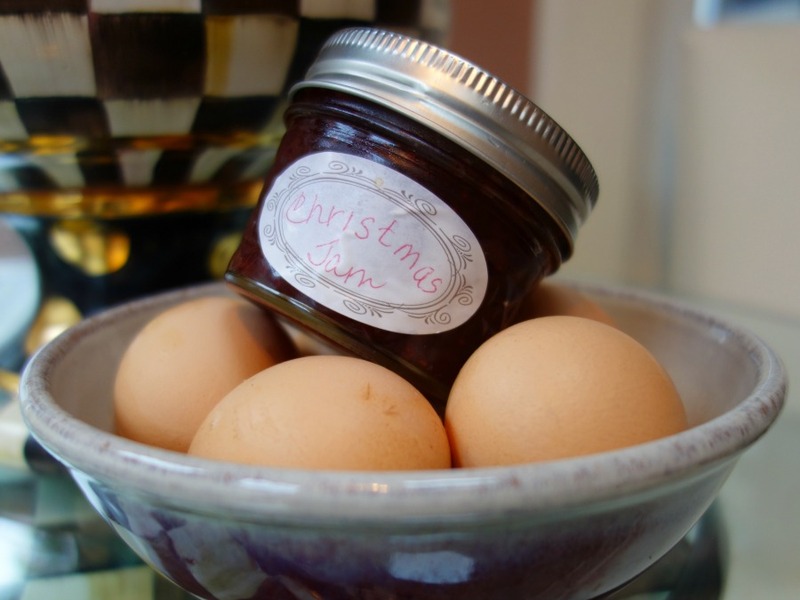 I know some of you make strawberry jam each year, and this recipe called for Strawberry Butter, but I had some wonderful Christmas Jam that I received as a gift from Kitty at Kitty's Kozy Kitchen. I mixed the Christmas Jam with a little butter and spread it on the popover and it was wonderful. My co-worker Rick gives me eggs so I used six of his pretty eggs for this recipe. 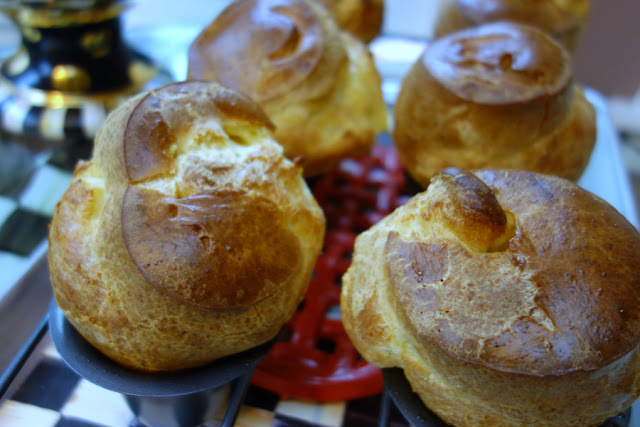 Joe and I both agree that these popovers are excellent, and they are super easy to make if you have the popover pan. Thumbs up folks! We both love those NM popovers, Debbie, and with the butter enhanced with the jam makes them even better. I'm glad that you liked the jam!